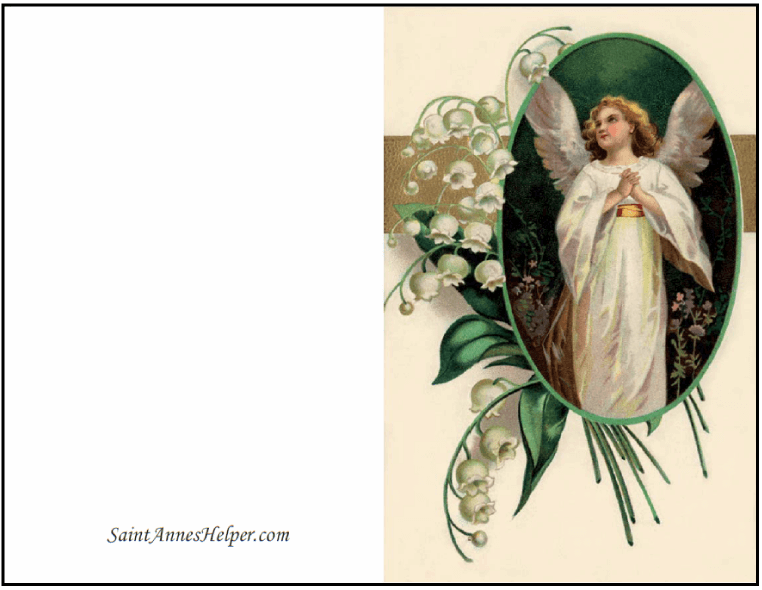 Printable religious Christmas cards are a real rescue if time is close and you need Christmas cards. Maybe you've finished sending them and realize that you have a few more family and friends to include. Maybe you need other religious greetings or thank you notes. You can make thank you cards and several of these can be used all year long. 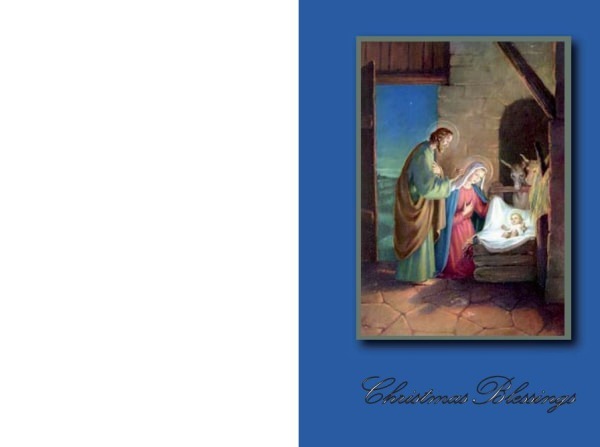 If you have a color printer that can use card stock, you can print your own Christmas cards. You can always use thick paper, too, but card stock works in most printers. 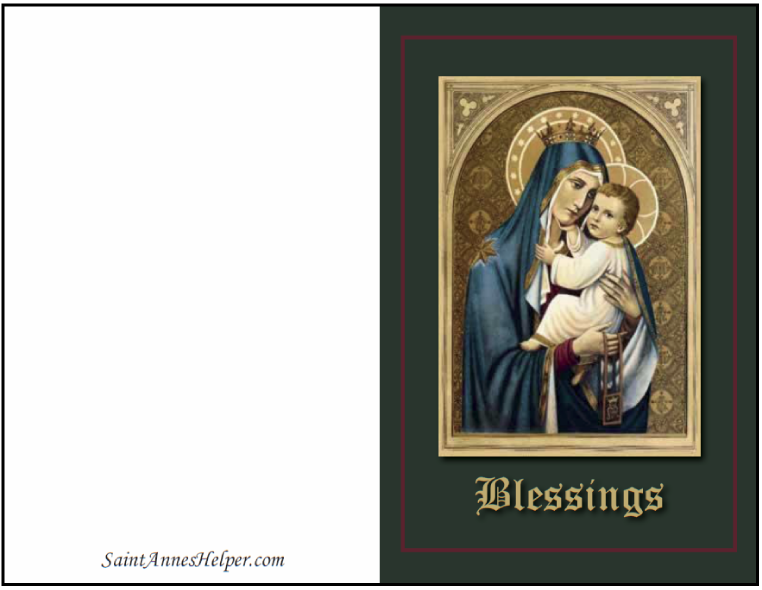 St. Anne's Helper free printable Christmas cards show beautiful images of Christmas traditions like Jesus, the angels, the Nativity, and the Three Kings or Magi. 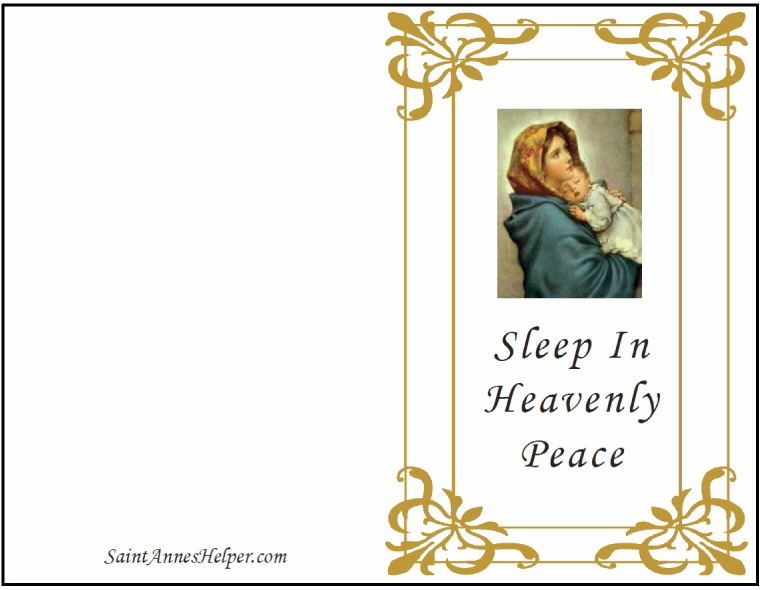 It is easy to click and print these printable Christmas cards and some of these are nice for other greetings and blessings. 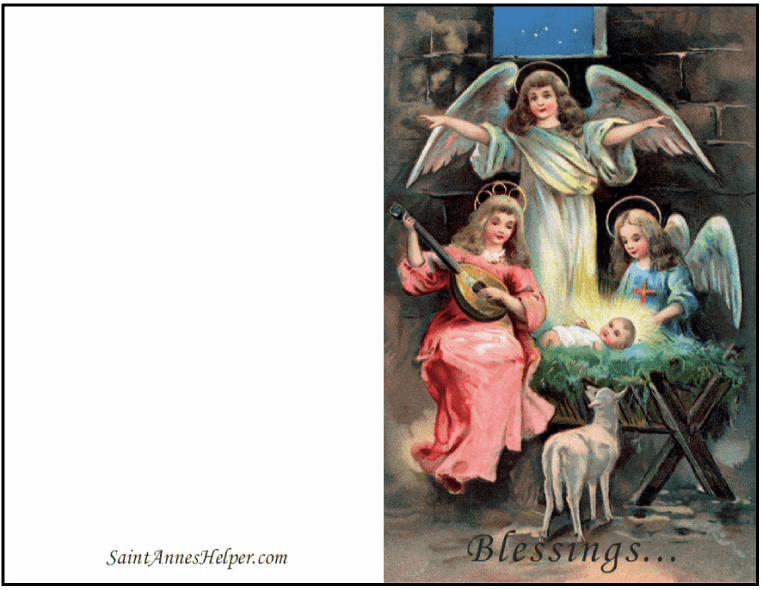 These Christmas cards print on 8-1/2 x 11 paper or card stock and fold in half to fit in 5-3/4 x 8-3/4 inch greeting card envelopes and use traditional Catholic Christmas themes. Print as multiples for smaller cards and gift tags. Print the back side "inside" with your own message using the booklet setting on your computer. Use as thank you cards for Christmas gifts and events. Use as Christmas invitations, especially in the smaller sizes when you choose booklet or multiples from your computer. 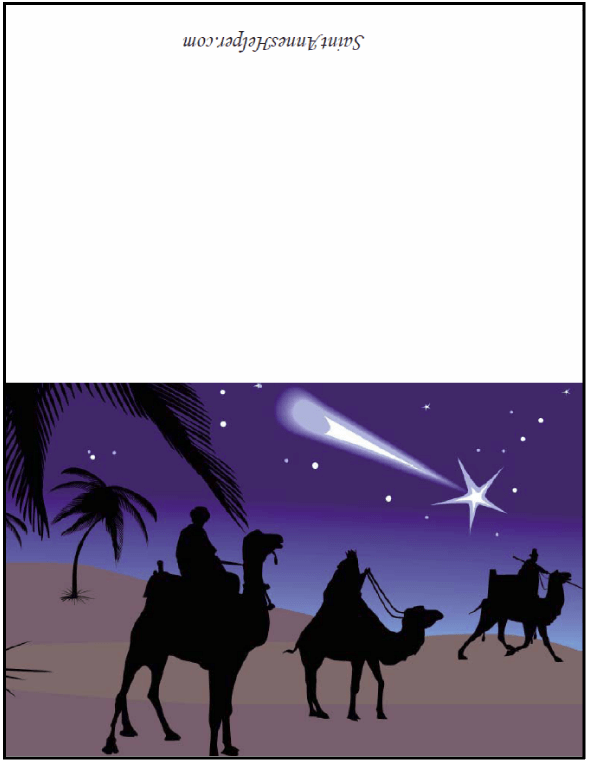 The Magi cards make awesome Epiphany or Boxing Day cards. 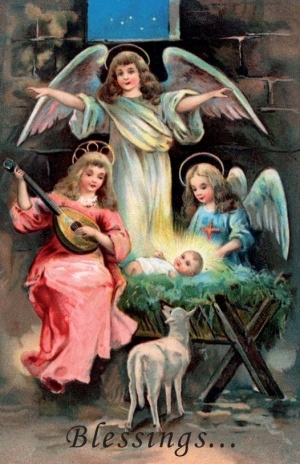 These printable Nativity cards are classic pictures of the Holy Family, Jesus in the manger, and angels adoring the Infant. The Madonna and Child are classic symbols of Christmas. 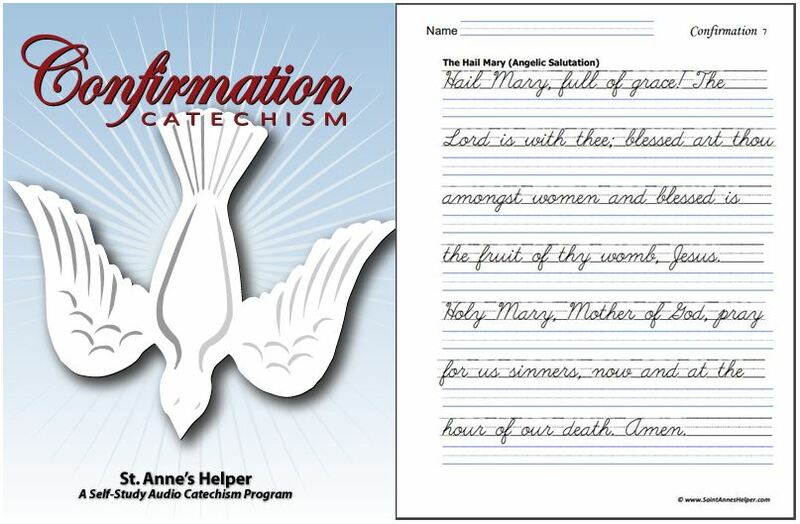 These are so beautiful and the first two can be used any time of the year to send greetings or celebrate a Marian feast day. 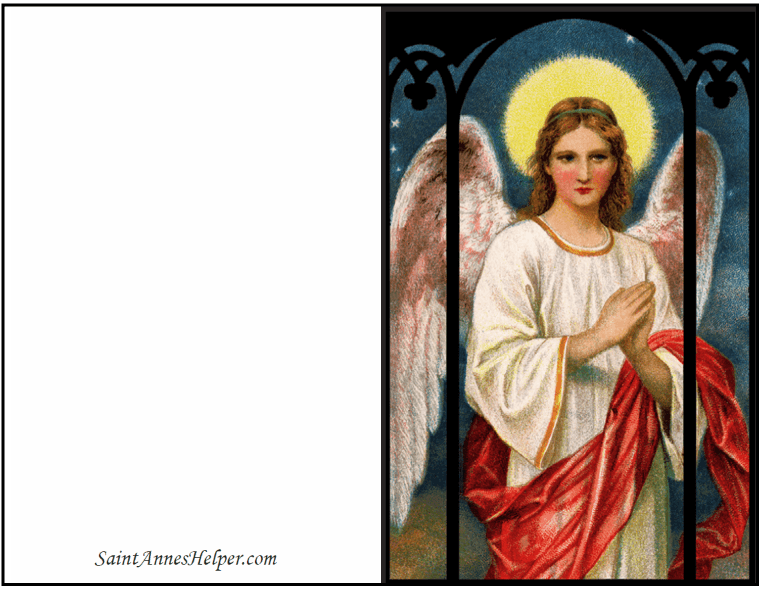 Angels make Christmas special. They knew what happened and immediately rejoiced. 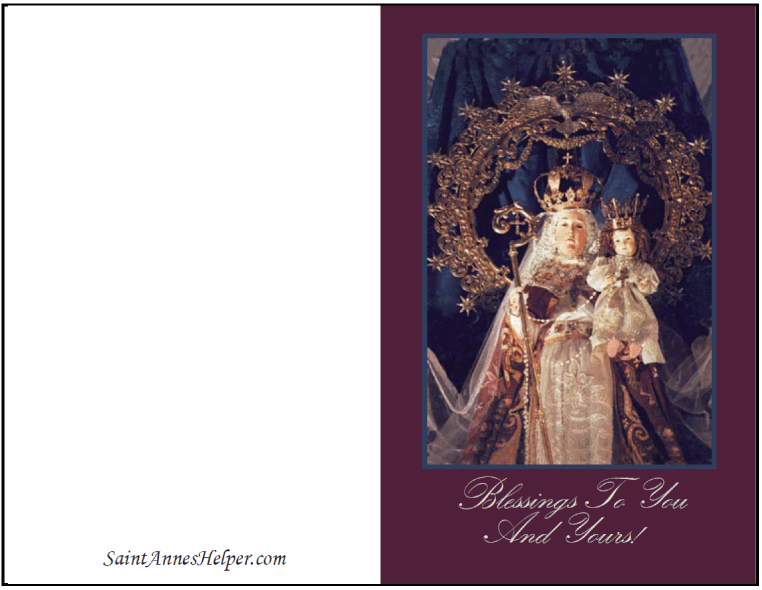 The first two can be used throughout the year as religious greeting cards. Gloria In Excelsis! Merry Christmas! 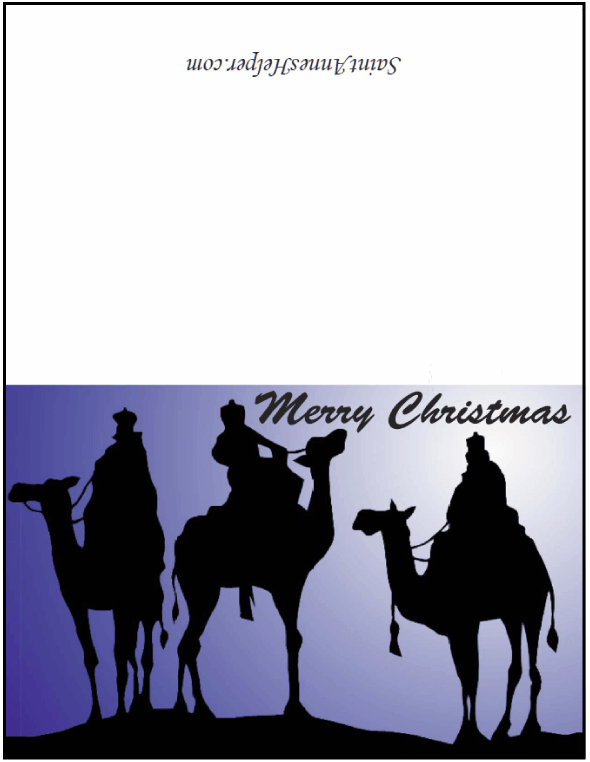 Then came the Wise Men from the Orient. Use these as late Christmas cards, thank you cards, or Epiphany cards. Also great for Boxing Day. Three Kings Magi Happy Epiphany! Here are two more cards both of which can be used throughout the year. 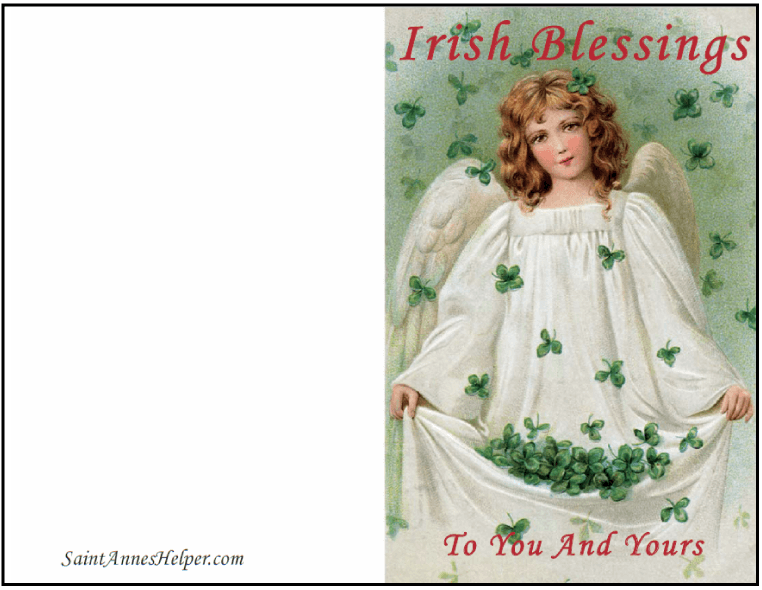 The Irish Blessings has Christmas colors. 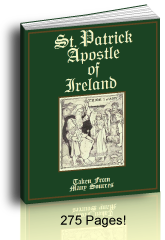 Those shamrocks make it perfect for the feast of Saint Patrick or your favorite Irish friend. 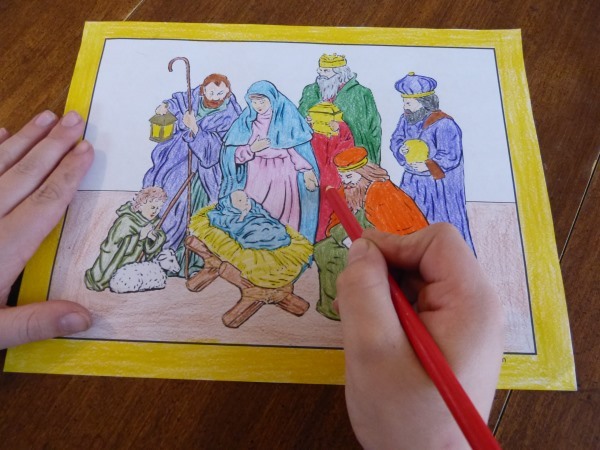 The last is a link to Christmas coloring pages. 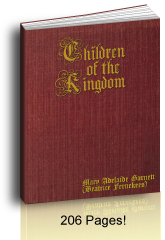 Infant of Prague, King of Kings! 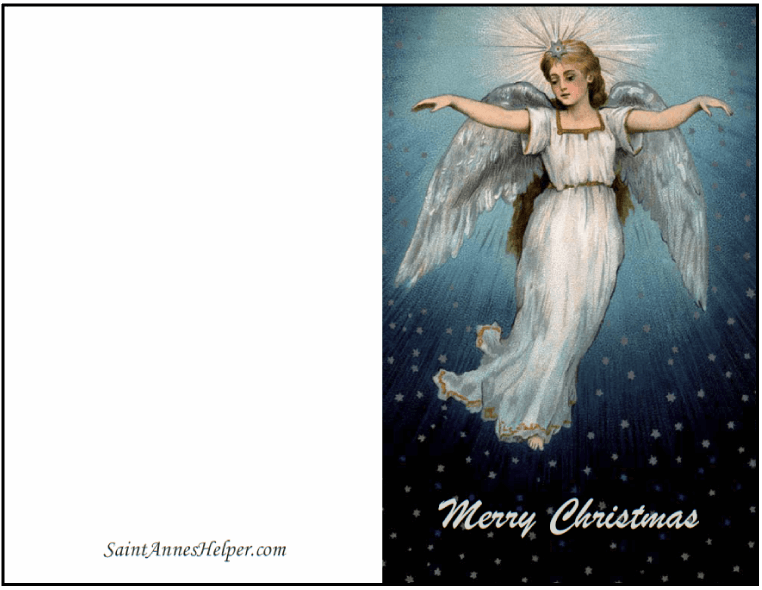 Click to see many printable Christmas cards to color. One of the Christmas traditions that we treasure most is getting our homemade Christmas cards ready for a big mailing! We can't do a big mailing every year and some years we simply cannot make the time to craft homemade cards. 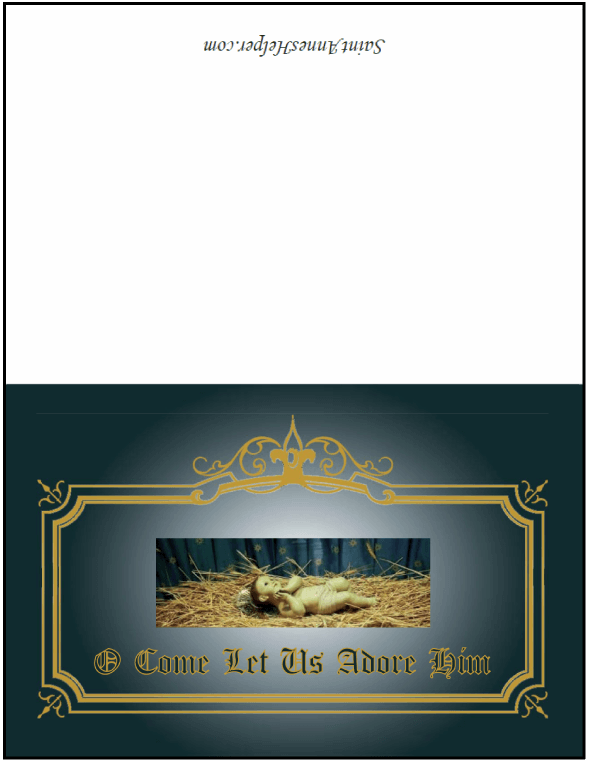 Printable religious Christmas cards for you to enjoy. Our pictures will always be respectful of the fact that not only is Jesus the Reason for the Season, but also that the Mass of the day is the Christ Mass. Baby Jesus will be covered and warm, too, much to the relief of our little ones. We also have a free printable Christmas Advent calendar and Advent wreath coloring page and Advent wreath coloring page! 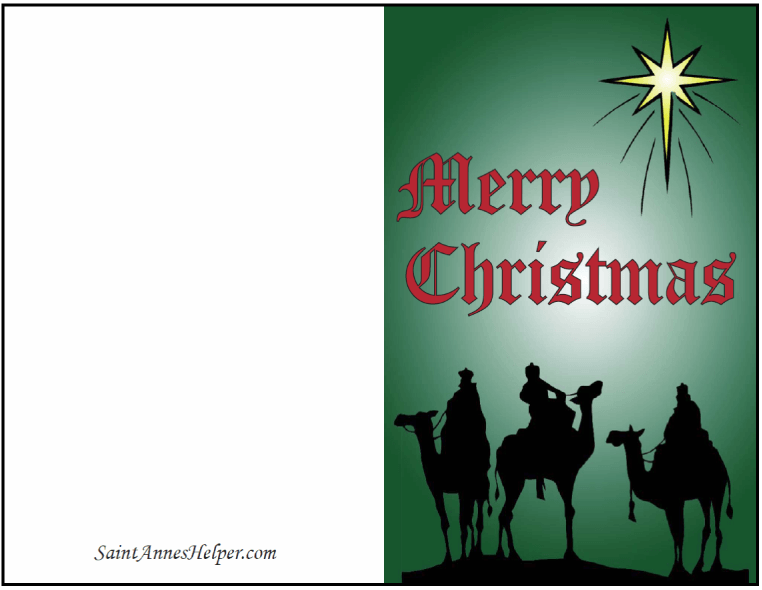 Christmas Coloring Pages - Great for cards, too! 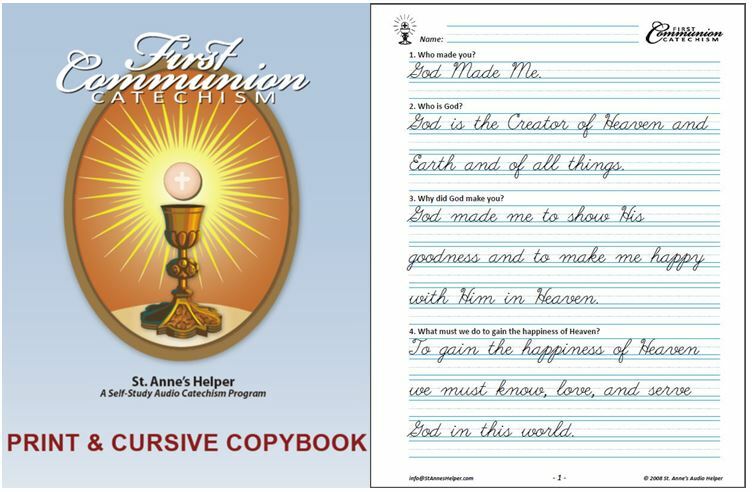 These CDs and Printables are great gifts for Communion and Confirmation students. 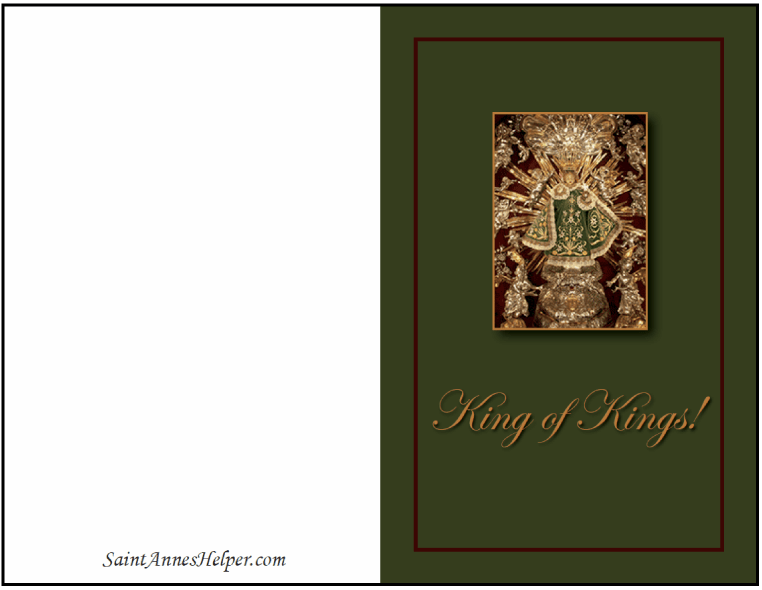 Thank you for visiting our Catholic Christmas cards. You have our prayers for a Merry Christmas! 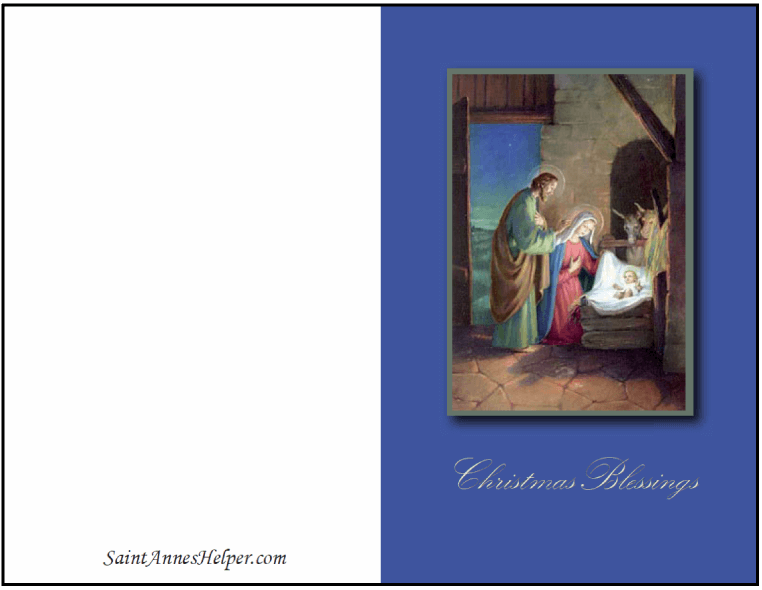 Thank you for visiting our printable Catholic Christmas cards!